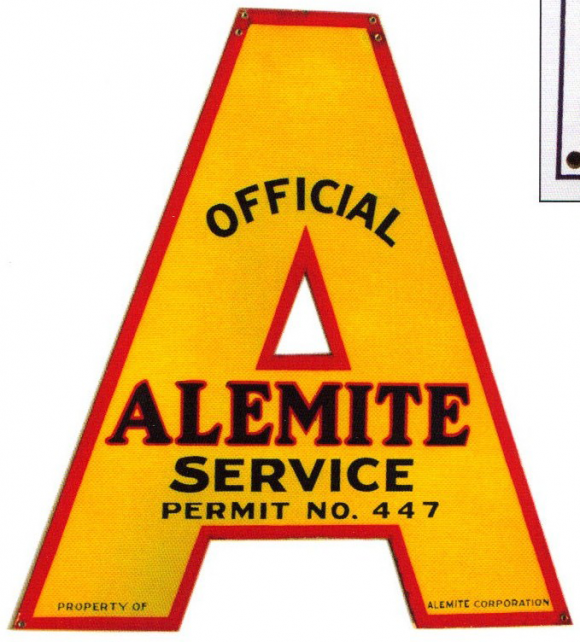 This is an “A” shaped Alemite Service porcelain sign. This particular Alemite Service sign is predominantly yellow with a red outline and black text. It reads, “Official Alemite Service, Permit No. 447, Property of Alemite Corporation”.